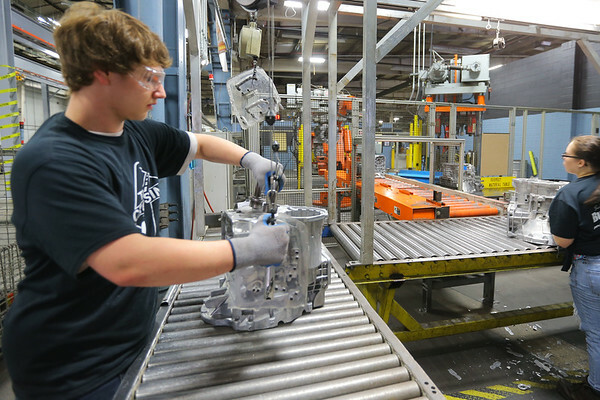 The Crossing student work at Saran Industries trimming transmissions on Feb 24, 2017. This is a partnering with Saran and Chrysler for job training. Andrew Murray does a final check of the transmissions.